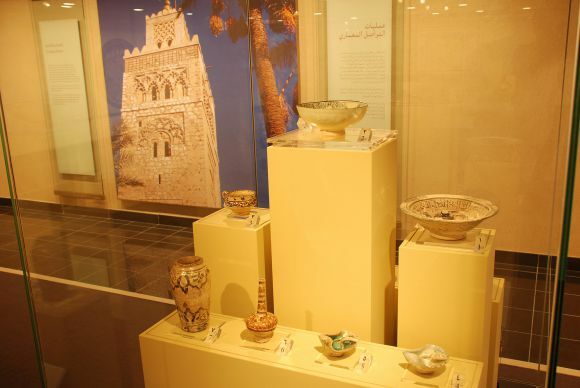 The Sharjah Museum of Islamic Civilisation aims to display, interpret, research and further develop the museum's collections for a wide range of local, national and international audiences, and to stimulate knowledge, appreciation and enjoyment of Islamic art, history, science and culture. The magnificent building that houses the Sharjah Museum of Islamic Civilisation first opened in 1987 as the Souq al-Majarrah and quickly became a popular landmark, both among the people of Sharjah themselves and visiting tourists. The building was only the second of its kind in the Gulf region, after Sharjah’s “’New”’ or “Central’’ Souq constructed in 1977, to use traditional, Arab-Islamic design elements in its ground-plan and décor. The building with its impressive architecture and attractive design features was subsequently renovated and reopened in 2008 as the Museum of Islamic Civilisation. Its most outstanding feature is its majestic, gilt central dome, decorated on the inside with an intricate mosaic depicting the night sky and the signs of the zodiac. 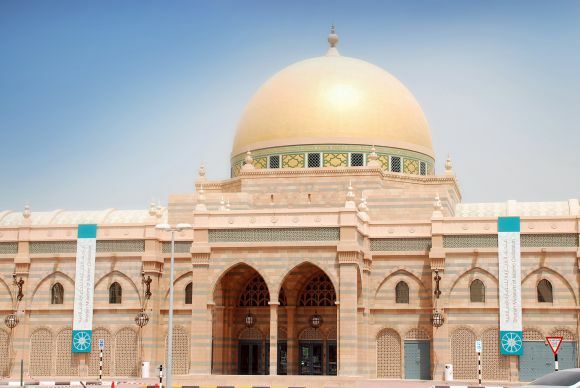 The building now transformed into a state-of-the art cultural venue, the new Sharjah Museum of Islamic Civilisation, houses more than five thousand exquisite Islamic artefacts from all over the Islamic World, arranged according to themes over seven spacious galleries and display areas. On the ground floor you can visit the Abu Bakr Gallery of Islamic Faith, the Ibn al Haitham Gallery of Islamic Science and Innovation, a prominent display of Islamic Coinage, and the Al Majarrah Gallery for temporary exhibitions which is scheduled to hold regular exhibitions of international standing. 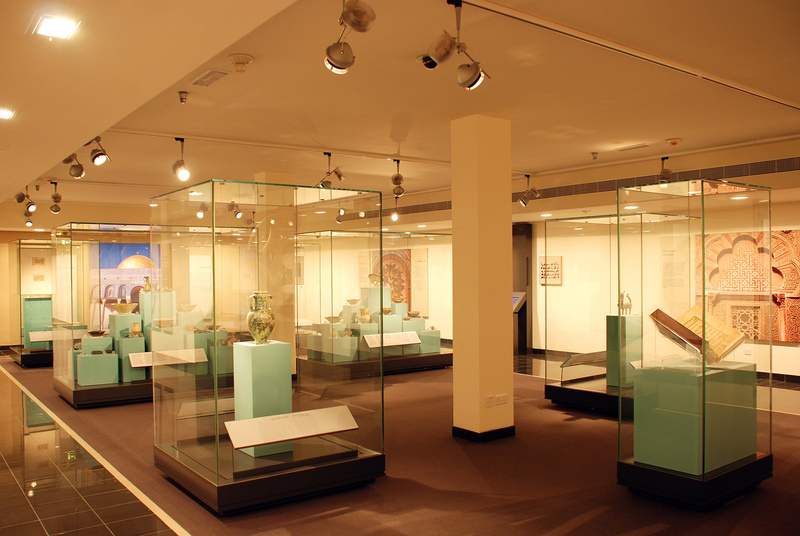 The entire first floor of the Sharjah Museum of Islamic Civilisation is devoted to Islamic Art. Four spacious galleries take the visitor on a journey of artistic discovery which starts in the early Islamic period and leads all the way to modern times. Start your explorations with a visit to our state-of-the-art audiovisual show. Enjoy stunning images from all over the Muslim world and learn about the artistic achievements of its calligraphers and artisans. Sharjah Museum of Islamic Civilisation, Corniche Road, Al Majarrah Area, Sharjah.